Top News India: Delhites get mobbed for a good cause! 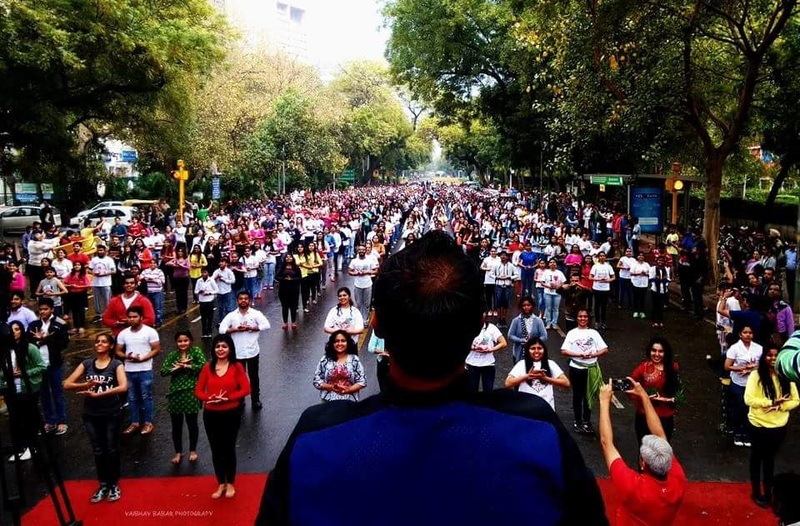 Delhites get mobbed for a good cause! About 3000 volunteers of the Art of Living Foundation on Sunday achieved a novel feat of a massive flash mob performance in the streets of central Delhi, undeterred by the rain showers, as a build up to the World Culture Festival being hosted by the organisation. between 2-70 years to perform a combination of Zumba, contemporary dance and basic yoga moves on a mix of Bollywood hits along with the theme song of WCF ‘Sangacchadwam’, i.e. we are a one world family. 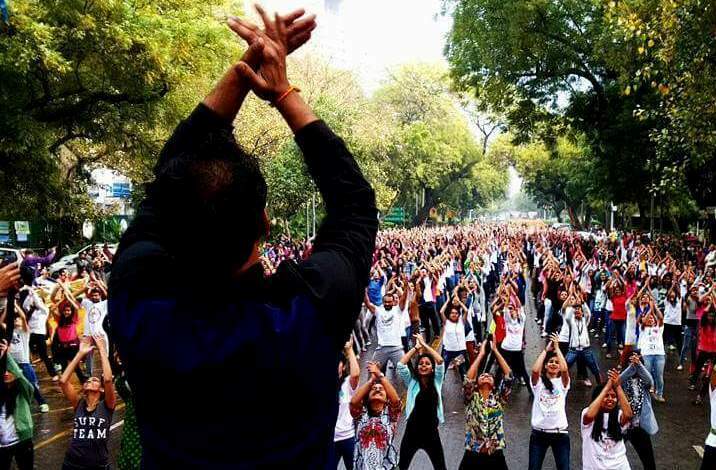 Toddlers, school-children, college students, working professional, homemakers, parents, elderly enthusiasts came together for this record breaking performance today morning at Parliament Street, something for which they had been performing for the past 21 days. The entire sequence has been directed by Tarique Nasim Khan, a professional choreographer, who also happens to be an international faculty with the Art of Living and has done immense peace building work in the war-torn gulf countries like Iran, Iraq and Syria. “I’m on top of the world that so many people made the effort to come here and stand united to celebrate diversity, peace and humanity. It reaffirms the faith that there are a lot of good people in this world,” Tarique said. The Art of Living Foundation is hosting the World Culture Festival in New Delhi from 11th to 13th March to mark 35 years of its service to humanity. The three-day event is being held on a 1000-acre wide venue with a 7-acre stage where 35,973 global artists who will be performing at the event. 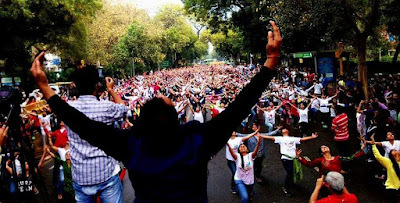 People from over 155 countries are readying to witness this mammoth event which will celebrate cultural and religious diversities across the globe. Prime Minister Narendra Modi will be inaugurating the event and the honourable President will preside over the valedictory function.